Celebrating the music of Gesualdo, the 400th Anniversary Conference will combine academic paper sessions with a series of singing workshops and performances throughout the weekend. James Wood will give a keynote speech on his reconstructions of Gesualdo’s second book of Sacrae Cantiones and forensic psychiatrist Dr Ruth McAllister will present an analysis of the murder of Gesualdo’s first wife based on contemporaneous accounts. On the Saturday, I Fagiolini will give a concert of secular music by Gesualdo and his contemporaries. On the Sunday, The 24 (a university of York Chamber Choir directed by Robert Hollingworth) will give a concert of sacred music, including some of James Wood’s reconstructions and a set from the Tenebrae Responsories. 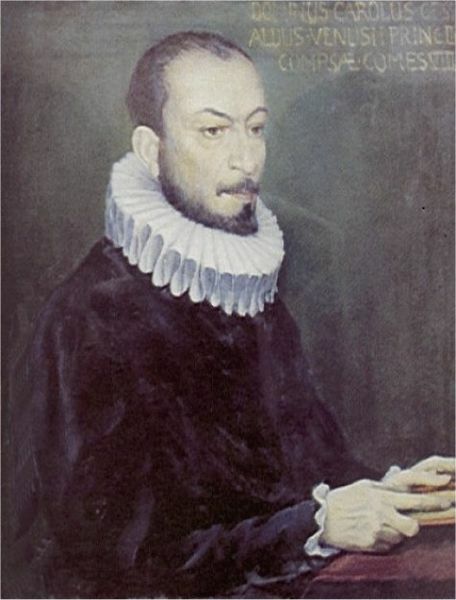 The academic conference will focus on the music of Gesualdo, his peers and their times. Proposals are welcomed from, but not restricted to, the topics listed above. We would like to invite proposals for 20 minute individual research or recital papers (followed by 10 minutes discussion). Proposals should not exceed 250 words and should be emailed to: gesualdo400@gesualdo.co.uk. Please submit proposals as an MS Word or PDF document but please also include a plain-text version in the main email. The following details need to be included in your proposal: name, institution, postal address, email address, telephone number, and audio/visual requirements. A publication project based on the conference proceedings will be undertaken. Accompanying this Call for Papers is the world premiere recording (we believe) of Gesualdo’s neglected 1585 motet ‘Ne reminiscaris Domine delicta nostra’. Performed by The 24 and recorded in January at the National Centre for Early Music in York.